Processing commercial catastrophic insurance claims requires a strategy, as there are multiple moving parts and several parties with their own interests. Jill Dalton likens preparing for a claim to planning for a game on the gridiron. She asks five questions that can serve as claim strategies for independent catastrophe adjusters. Some of these strategies will come from the rule book, the insurance policy, but others will be out of the playbook, which you decide. 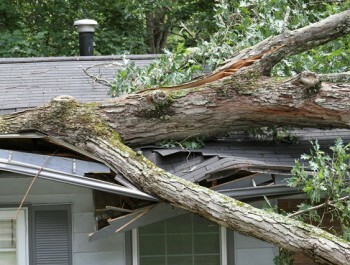 The property damage valuation method is always determined by the rule book. The claimant’s policy will state whether it covers the damaged property’s actual cash value or replacement cost. For commercial catastrophic claims, you will also need to look up the inventory valuation method in the claimant’s policy. Typically, inventory is valued either at its selling price or replacement cost, which may be higher or lower than the selling price. What happens to any damaged property may not be as clear as the valuation methods. Whether property should be repaired or replaced will depend on the value of the property and extent of the damage. Claimants may opt to do some work themselves, or they might hire third-party companies. In either case, it’s up to you, as the insurance adjuster, to review estimates and ensure any required work is properly done. The insurer may have the right to control the damaged merchandise, particularly if they reimburse the claimant for the items. Before sending a lot of merchandise to the insurer, though, think of how it will be disposed of. The claimant may be in a better position than the insurer to offload the damaged goods. When evaluating how to remove debris, consider how the work will impact the claimant’s business. It may be worth paying more to remove debris if it’ll help the claimant can reopen their doors sooner. These claim strategies for independent catastrophe adjusters make processing catastrophic claims easier. Think about them the next time you begin a catastrophic insurance claim. If you're looking to join Pilot Cat as a claims adjuster, make sure to contact us today.